Even if you don’t know what “polyphenol oxidase” is, you’ve seen what it can do. Polyphenol oxidase, an enzyme found in all plants, causes undesirable reactions such as browning in sliced apples, black spots in cut avocados, and dark marks on banana peels. It’s also responsible for gray discoloration in wheat products such as fresh noodles, fresh and frozen breads, and refrigerated biscuits—all made from hard white wheat. Hard white wheat products such as white whole-grain breads are becoming more popular in the U.S. marketplace. 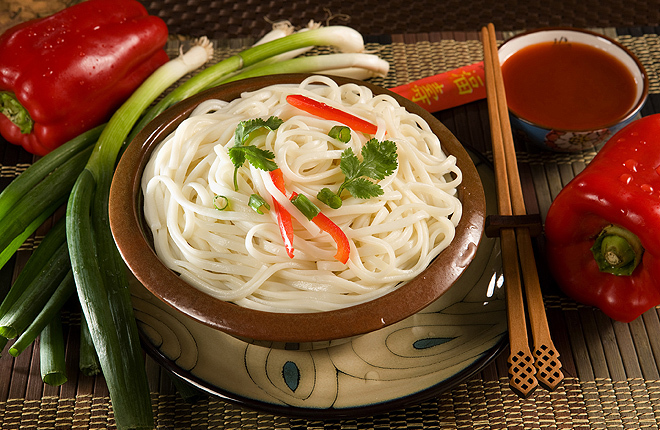 Hard white wheat is the wheat of choice in select export markets, especially in Asia, where it is used to make a variety of fresh noodle products. For 15 years, Graybosch has been studying the polyphenol oxidase trait in wheat, investigating numerous samples of white wheat obtained from the ARS National Small Grains Collection (NSGC), in Aberdeen, Idaho. “A lot of U.S. white wheats still have high levels of polyphenol oxidase,” Graybosch says. “To have a successful white wheat for both the export market and the domestic market, milling companies want low or no polyphenol oxidase.” Some low-polyphenol oxidase hard winter white wheats have been developed, but complete removal of this enzyme trait is more desirable. In 2000, working with the University of Nebraska and Montana State University, Graybosch screened more than 3,000 wheats from the NSGC for the presence of polyphenol oxidase. The team then mated wheats that had low levels of the enzyme. Wheat breeding lines with very low or even near-zero levels of polyphenol oxidase were generated from these crosses. In a recent study, Graybosch and his colleagues discovered naturally occurring genetic mutations in 07OR1074 that resulted in the nearly complete loss of polyphenol oxidase activity. The trait has now been integrated in improved breeding lines developed by crossing 07OR1074 with elite Montana and Nebraska wheats. Further incorporation into elite lines will result in highly desirable cultivars that will expand the demand for U.S. hard white winter wheat.—By Sandra Avant, ARS Office of Communications. “Taking the Gray Out of Wheat Products” was published in the April 2016 issue of AgResearch Magazine.